Malik S. is jealous of his brother's genetics. Born and raised in Miami, Florida, Malik S. is the last of seven children. He grew up defending himself from his older siblings with laughter. With his unique brand of comedy, Malik is able to bring joy and laughter to the hearts of many people. Malik’s material is based on everyday life with a lot of creative humor in between. After receiving his Bachelor's degree at Florida Memorial University, Malik taught high school for one year while pursing his career as a comedian. Malik has performed on many stages, but it was on BET’s Comic View where he got his break, just six months after beginning his journey. He went on to appear on the show for five consecutive seasons from 1999-2004. Malik has appeared on HBO's Def Comedy Jam, Comedy Central's Live at Gotham, NBC's Last Comic Standing season 4, ABC's Comics Unleashed and HBO's P. Diddy Presents Bad Boyz of Comedy. In 2009, Malik played “Another Guy” in Cedric the Entertainer’s pilot on ABC titled The Law. In 2010, Malik played an assistant on Cedric the Entertainer’s TBS special Urban Circus, where he also served as a writer. 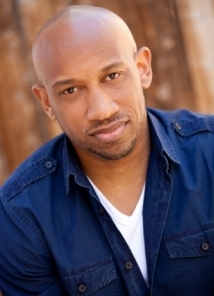 Currently, Malik is a writer on TVLand’s sitcom The Soul Man. Malik S. has a hard time with remembering dates and times. But he does remember when he decided to give up on his kids.